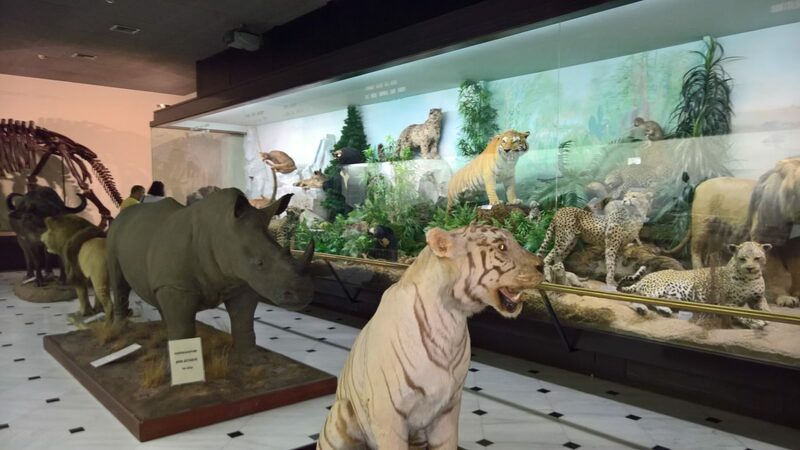 Founded in 1965, the Goulandris Natural History Museum is a museum in Kifissia, home to zoological, botanical, marine, rock, mineral and fossil specimens. In the same complex, the Gaia Centre for Environmental Research & Education, founded in 2001, provides the unique opportunity to the visitor to get acquainted with Earth, the diversity of its landscapes, flora and fauna, via new interactive technologies, and understand the impact of human activity on the environment. The specialist staff of the Museum and the Gaia Centre guides the visitors through the exhibition areas, providing useful information regarding the creation and evolution of our planet. After your visit, you can sit and relax at the Café Ammonites operating in a nice yard at the entrance of the museum. Check the official website for further details. This entry was posted in English and tagged Athens with kids, Goulandris museum, Greece with kids, Kifissia what to do with kids, museum with kids athens, museums for kids Athens, natural history museum athens.